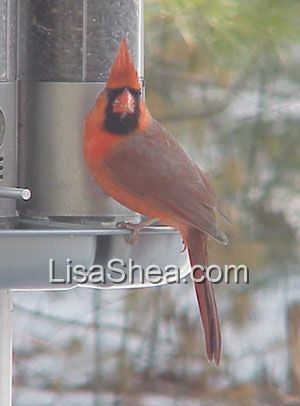 Cardinals are most well known for their bright red colors on a snowy winter day - the Cardinalis cardinalis is named of course for its red feathers. 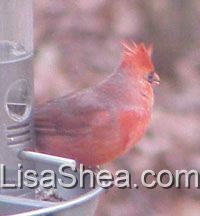 The males are bright red with a crest and pointed beak. The females are brown, with the same crest and pointed beak. Here's a video taken in the summer in Sutton, which features a lovely cardinal!